Tired of the Same Old Napa Wineries? How to Taste Your Way Through Napa Like a Local! 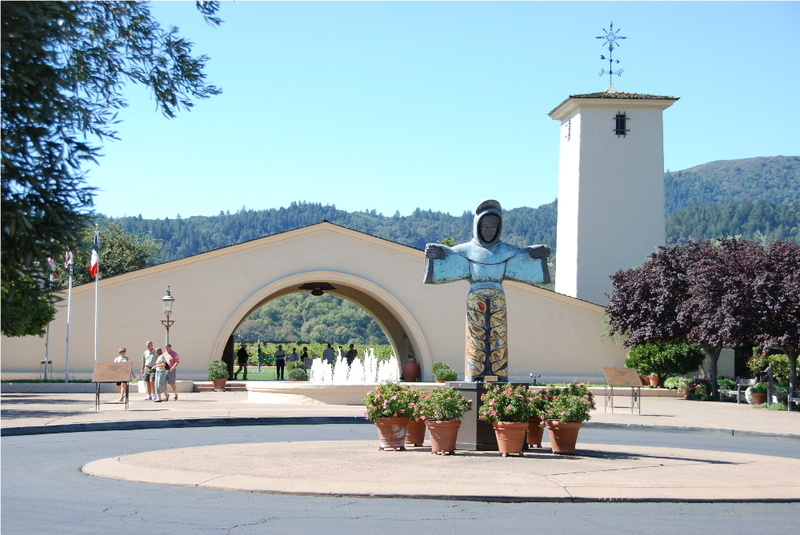 Everyone stops at Mondavi Winery in Napa - But Should You? Alternative Napa - Where Do Locals Taste Wine? I totally get it - it's your first visit to Napa and the labels of the wines you see in your supermarket are haunting you. Mondavi. Beringer. Sterling. Domaine Chandon. And that castle, yes, the famous Castello di Amorosa. Must see, must see! Or should you? Sure, these are all great stops but there's another side to Napa that locals know and love and that's the smaller boutique wineries. Don't believe what you might have read on places like TripAdvisor who claim that the smaller wineries don't have good wine. I actually found the opposite to be true. That's because the small wineries are hoping you buy a bottle or case so they're pouring the good stuff whereas the famous wineries have buses of people waiting to get in to snapchat and instagram their selfies. Wine is almost secondary to the winery at some of the big names - tram anyone? What do you want? A castle with millions of visitors or a wine tasting getaway at a boutique? So where to go? How do you visit Napa and taste like a VIP? Here are a few of my favorites. First timers, go ahead and make that stop at Mondavi or Beringer but make sure you spend at least 50% of your time in these smaller wineries if you want to get away from the tourists and deeper into the heart of Napa. For those of you who have been here before you can also email me and I'll help you pick some good ones and even help you get discounts, many unpublished, so you can taste like a VIP without breaking the bank. Here are a few "off the grid" wineries you should be checking out. Let me help you plan it out! I don't charge, I don't get kickbacks from the wineries, I'm not associated with any wine shops, restaurants, or anybody! I am just one guy who knows and loves Napa and happy to share my favorites with you, all honest and unbiased recommendations so that you don't leave Napa thinking it was a theme park. Email me and give me your dates you will be here, the number of people in your party and whether you are a wine expert or just looking for fun places to taste. Give me two weeks if possible and I'll get you some free Napa advice on how to taste your way through Napa like a local - on a budget, of course.